Joan Palau just published an extensive analysis about the history of the building we are in in c/Trafalgar 39. Built in 1900 by the constructor José Padró and architect Antoni Costa i Guardiola, the building is full of catalan Modernism features. 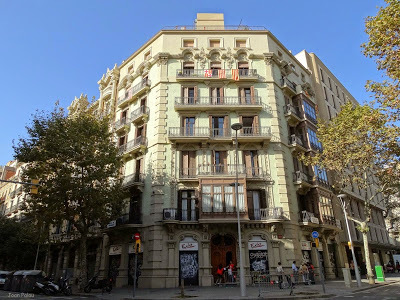 For more information (in Spanish and Catalan) and photos, please visit Barcelona Modernista i Singular/Casa Josep Padró.